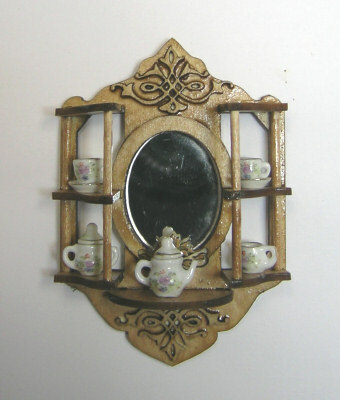 A unique hanging mirrored wall shelf with four small shelves to display your mini collectibles. Cut fretwork scrolls embellish this lovely piece. Measures 2 3/4 High x 1 7/8 Wide.